One of my favorite crime fiction writers is Elmore Leonard. 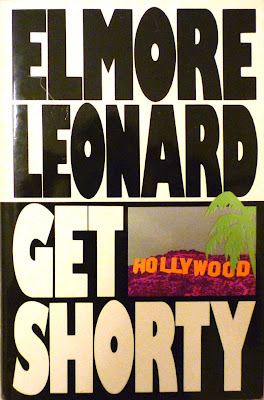 You may know Get Shorty, Jackie Brown, and Out of Sight, among many of his classic novels. And one of my favorite literary devices Elmore uses is… suspense. He is the master of the fake out. Characters motives are always murky, and readers get hooked trying to guess what’s going to happen next. Going hand in hand with suspense, is conflict. When you draw attention to conflict in your writing, it becomes more engaging. Consider the conflicts of your reader and write to his or her pain points. Obviously suspense and conflict can clash with established content marketing practices, like getting to the point. Ultimately you need to resolve the conflicts, end the suspense, and solve a problem. That’s the payoff the reader has been waiting for. Make sure you use specifics, examples, and real facts. Time the resolution carefully, because readers will stop reading as soon as they think the conflict has been settled. One last piece of advice. Make sure there’s always something left unsettled at the end of your story. Just a touch of suspense left behind. Subtly reminding your readers of this, will keep them intrigued and wanting more.